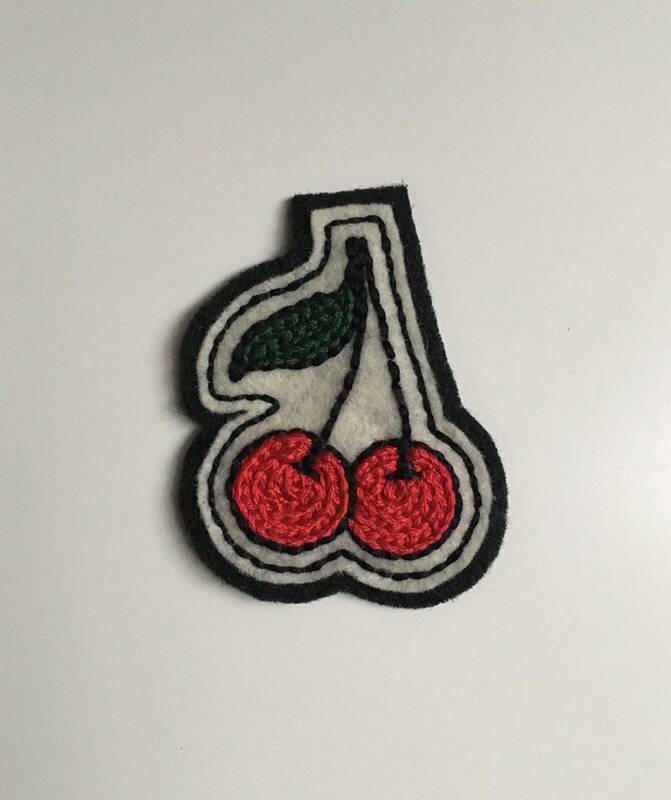 Small patch features a traditional-tattoo-style pair of red cherries with a small green leaf and stems. 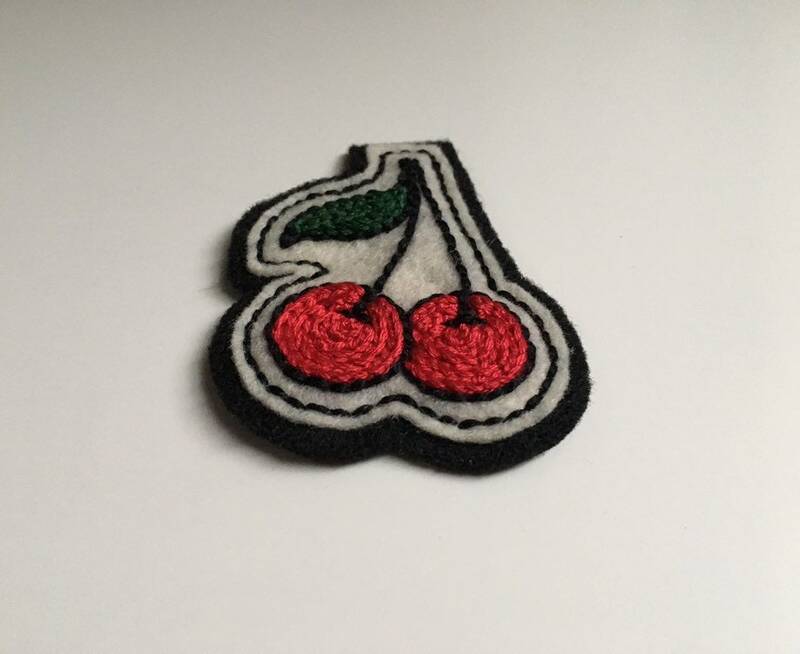 The cherries are filled in with a red chainstitch; the outline and stems are sewn in a straight stitch and the leaves are a chain-stitched dark green. 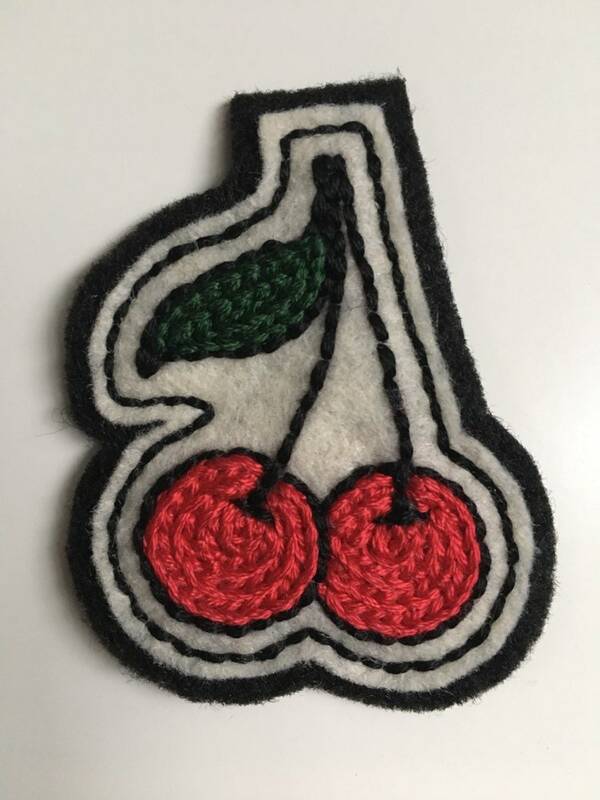 Sewn entirely with embroidery floss. 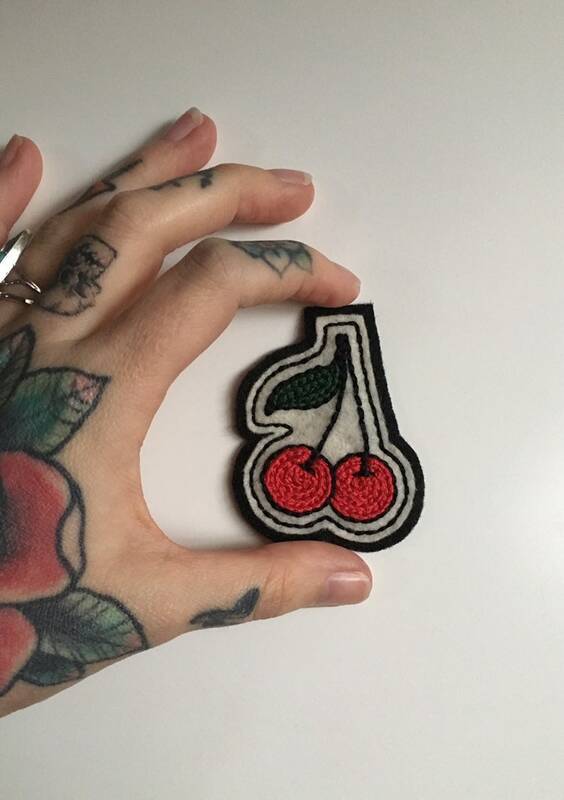 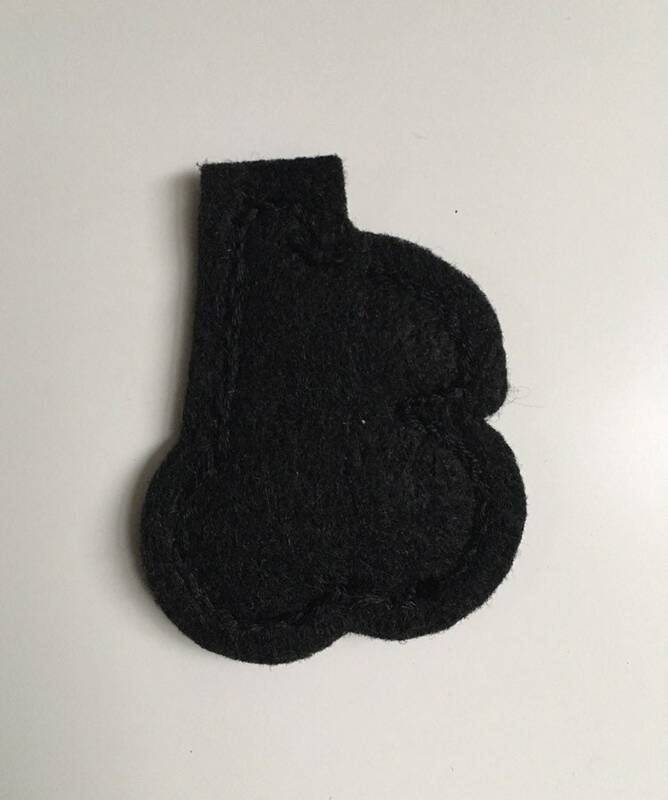 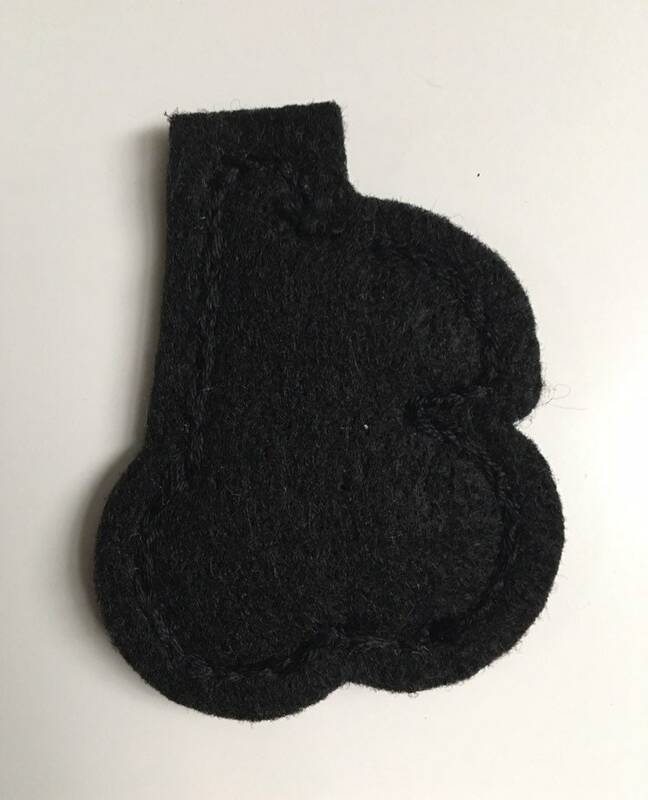 Turnaround time for patches is up to 5 business days, as they are made to order. 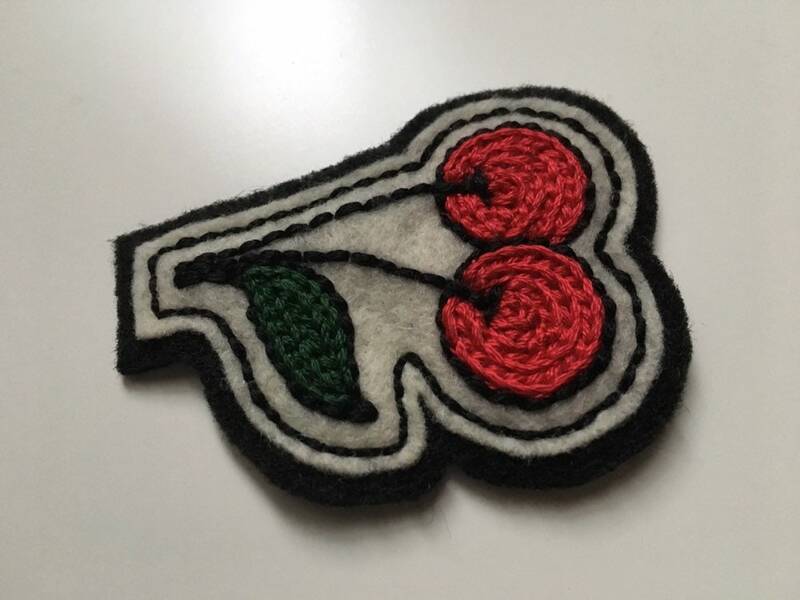 2 & 5/8" x 2"